Human Resources | PayPros, Inc. Guidance from trusted experts – Connect with HR Pros with years of experience providing the content and insights you need. Constantly Updated tools for you to use. Employee Handbook available to download and customize along with an HR Pro if needed. Employment Laws in easy to read format for Federal and State jurisdictions. 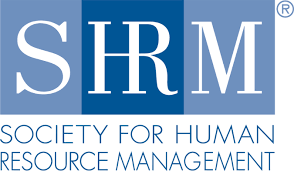 HR Forms to facilitate employee hiring management and termination. Job Descriptions to find, hire and organize employees. Confidential questions submitted to our HR Pros will elicit a timely, personal response. Q&A Database available when you are. In an effort to offer our clients the highest level of service, PayPros, Inc. now offers tax incentive services through Paradigm Partners, the national leader in securing financial benefits for businesses through state and government programs. Paradigm Partners will perform a cost free analysis in an effort to identify any programs for which your company may qualify. Below is a list of tax incentive services available through PayPros, Inc.. The fees for this service are very reasonable. SaveDay is the way to 401(k) period. Visit www.saveday.com. SaveDay methodology focuses on combining different assets in a portfolio to maximize estimated returns while reducing the level of risk. NO Cost for the business. Extremely low employee percent per year of .45%. No per employee fee, No monthly fees! A wide variety of funds to choose from, as well as access to a brokerage account. PayPros partnered with industry leader Invesmart, Inc. to bring you a superior 401(k) Program. This program offers a great tax saving tool as well as a great savings vehicle for employees. Invesmart will select appropriate investments through its subsidiary, Invesmart Advisors, Inc., and manage the plans. This is a quality plan at a reasonable cost (starting at less than $2000!) Designed with the small business in mind, the program offers buying power and access to funds that might otherwise not be available. And, by providing account management services for participants, it provides a service unique to the small plan market. 401(k) Plans can be delivered in both the traditional pretax and new Roth formats.